For more info, please click to open our FB album with step-by-step informational directions, photos, shuttle and feeder bus schedules! From BU MRT Station - 1Powerhouse, take MRT Feeder Bus T812 which stops at 1 Utama Centre Court Entrance (Dataran Bandar Utama). 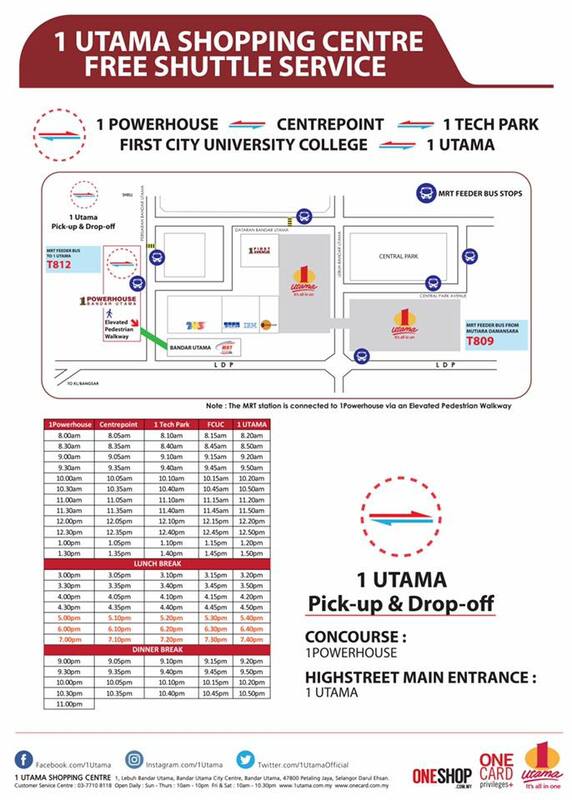 From Mutiara MRT Station, take MRT Feeder Bus T809 which stops at 1 Utama Highstreet Entrance (Central Park Avenue), 1 Utama Bus Terminal (Central Park Avenue), 1 Utama LDP. 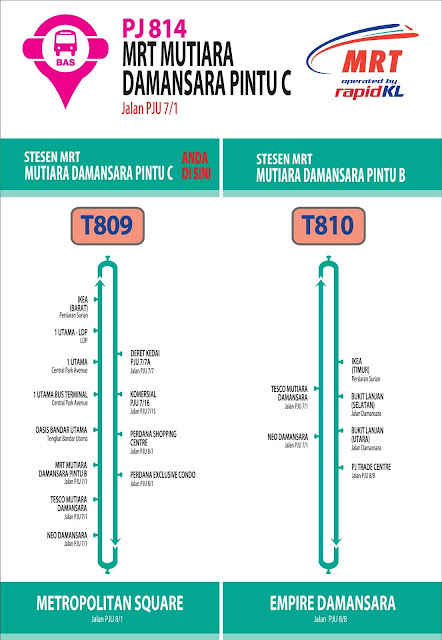 * Feeder bus frequency is around 10-15 mins operating from 5.30am to 11.30pm daily. 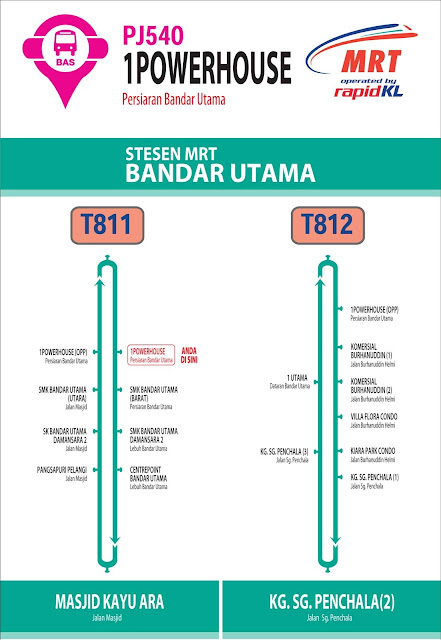 Do refer to www.myrapid.com.my for feeder bus info. The BU MRT Station is currently linked to 1Powerhouse, a Transit-Oriented Development (T.O.D) via an Elevated Pedestrian Walkway at Gate A. Come March 2017, there will be an additional new Pedestrian Walkway built from the BU MRT Station (Gate B) to One World Hotel, which you can then walk over to 1 Utama. We have also started building direct links connecting the MRT Station to 1 Utama stores and hopefully this will be completed in 2018 together with lots of exciting new retail concepts! 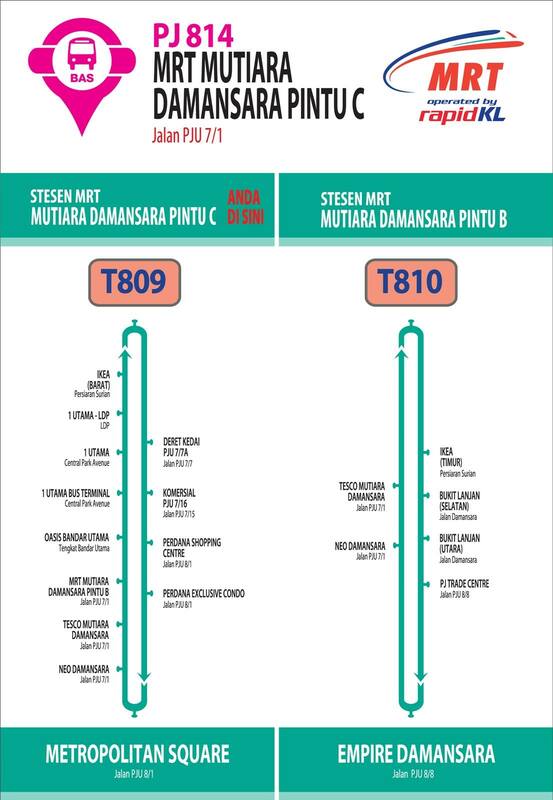 *NOTE: Due to the still outstanding and late approvals by the approving authorities and MRT, these linkages planned for 1 Utama have been delayed. However all parties are trying very hard to make it work for your convenience soon.